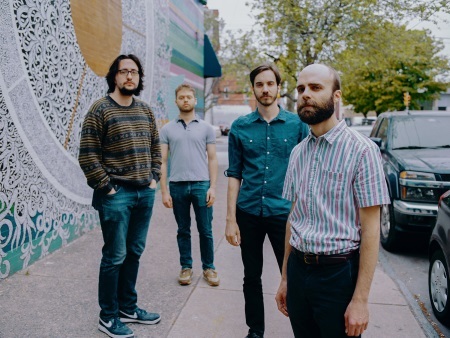 Philly indie rockers The Chairman Dances had been flying under the radar for a couple of years until their Time Without Measure album was picked up by a handful of long standing music sites and magazines in 2016. They toured extensively as a result, landed a few high profile support slots and racked up tons of spins on college radio. Between that busy schedule and his day job band leader Eric Krewson found the time to write a fresh stacks of songs that would end up on their new album Child of My Sorrow. Sadness and weirdness (and sometimes both) percolate through the music and lyrics. This is the kind of left-field melodic, yet complex music that record store clerks like to ram down their clientele's throat. With Child of My Sorrow there is no need for that. Just drop it in the player and the pastoral, psychedelic sounds, topped off with brass, woodwinds and piano, will do the rest. Child of My Sorrow is released thru Black Rd Records.